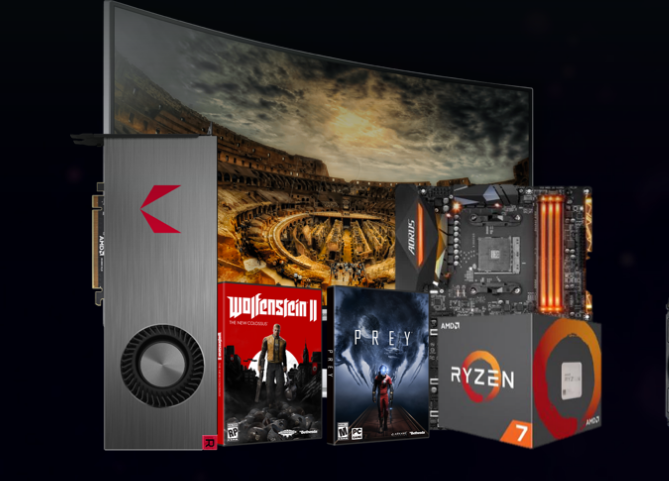 AMD revealed more information regarding the AMD Radeon Pack and before reminding you what is offered with these bundles, let me tell you that these offers will not be available for Europe. The full Radeon Pack is exclusively available in the United States, Canada, Australia, Singapore and Mexico. This offer allows to receive a discount of $ 100 to whoever purchases a Radeon RX Vega along with AMD Ryzen 7 1700X or a Ryzen 7 1800X processor accompanied by an Asus ROG Crosshair VI Extreme X370 motherboard, or a Gigabyte GA-AX370-Gaming K7, Or the MSI X370 XPower GAMING TITANIUM motherboards that hover around 230-300 euros. The offer in monitors is also exclusive of these countries, although everything is limited to a saving of 200 dollars in the monitor Samsung C34F791 (748 $ that would stay in 548 $) if we buy the GPU. In almost all other participating countries, you get the above mentioned bundle minus the FreeSync display promotion. On the other hand, buying a Ryzen 7 CPU will give away the Sniper Elite 4 and Prey games in Germany, Austria and Switzerland. In the other countries mentioned, the Sniper Elite is replaced by Wolfenstein II: The New Colossus.